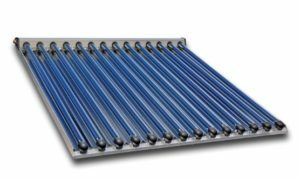 Solar thermal energy conversion process is very advantageous in terms of energy owes a lot to modern technology, photovoltaic and expenses. 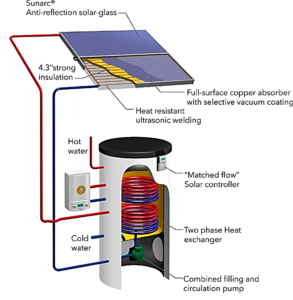 Active solar heating was greatly depends on three components: Solar energy storage system for distribution of heat transfer and heat of the sun, the solar collector. Active heating systems can be divided into two categories: Weather systems and fluid systems. 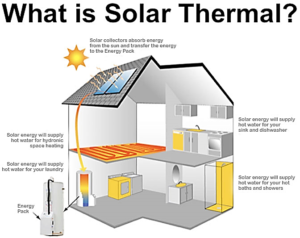 Differences in the heating system of solar energy in solar panels appear through the collection. Liquid fluids and draws its energy from the solar panels are used for storage of energy systems, air systems through the air. Solar radiation energy systems usually are considering using fotothermal to turn next. That Sun pool – which at the same time is as a solar collector and high temperatures store. Solar Home Systems (SHS) are stand-alone photovoltaic systems that offer a cost-effective mode of supplying amenity power for lighting and appliances to remote off-grid households. In rural areas, that are not connected to the grid, SHS can be used to meet a household’s energy demand fulfilling basic electric needs. Globally SHS provide power to hundreds of thousands of households in remote locations where electrification by the grid is not feasible. SHS usually operate at a rated voltage of 12 V direct current (DC) and provide power for low power DC appliances such as lights, radios and small TVs for about three to five hours a day. Furthermore they use appliances such as cables, switches, mounts, and structural parts and power conditioners / inverters, which change 12/ 24 V power to 240VAC power for larger appliances. SHS are best used with efficient appliances so as to limit the size of the array. 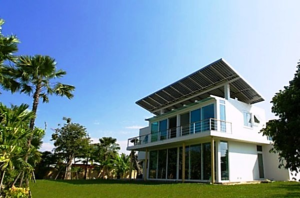 A SHS typically includes one or more PV modules consisting of solar cells, a charge controller which distributes power and protects the batteries and appliances from damage and at least one battery to store energy for use when the sun is not shining. Furthermore, SHS avoid greenhouse gas emissions by reducing the use of conventional energy resources like kerosene, gas or dry cell batteries or replacing diesel generators for electricity generation. Further impacts of renewable energies, such as SHS, can be found in the Report on Impacts. Stand-alone photovoltaic systems can also be used to provide electricity for health stations to operate lamps during night and a refrigerator for vaccines and medicines to better serve the community.